Adopting the real-time Keyword displays as is infamously found in several Google offices, we propose to also display the queries that are never or only selectively returned. 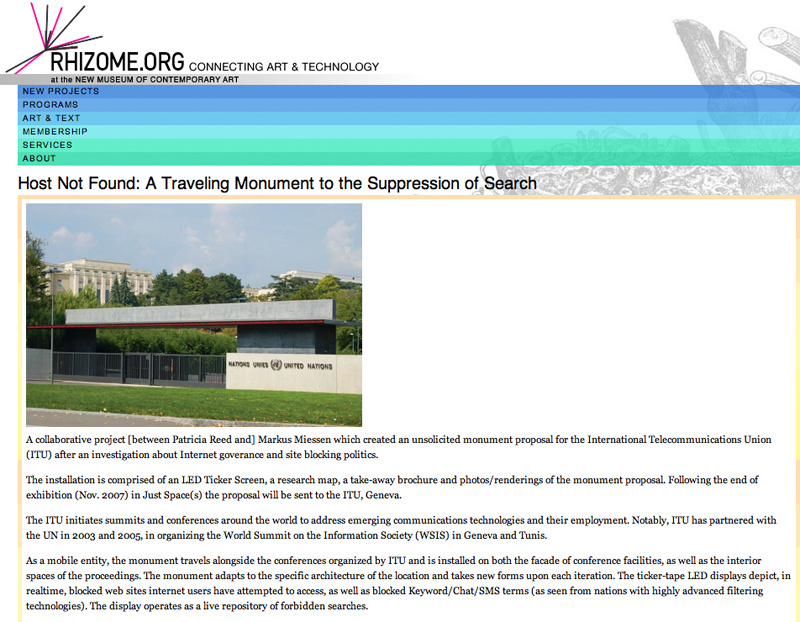 The title of the monument borrows from terminology used by some national firewalls, who mask their filtering practices by serving up web pages reading 'Host not Found' or 'Connection Timeout.' Likewise, the monument references the history of 'moral monitoring' by referring to Anthony Comstock's (of the Comstock Act) founding of the New York Society for the Suppression of Vice (NYSSV), in 1873.